Interested in having your own website? Check out our popular web design packages. Choosing from these packages makes it easy to get started. You can compare them and decide which one is right for you. The quality, price and features make these packages unbeatable. This 3-page website is perfect for small businesses without an online presence. You can list detailed information about your business, including your products and services, hours, location, contact information etc. The starter website is a cost-effective way to promote your business. 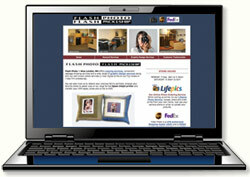 With a well-designed site, your small business can project the image and professionalism of a much larger company. 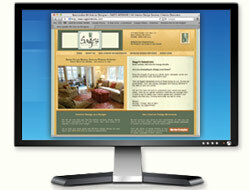 Your website will include a responsive design. A website with a responsive design is coded to adapt to all screen sizes, no matter what the device the website is being displayed on. 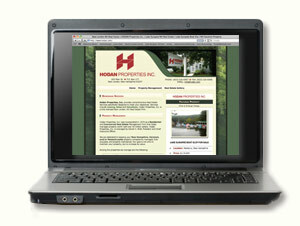 This package includes a custom 5-page website designed to represent your New Hampshire business. It is perfect for a gift shop, a hardware store, or even a band. We will work with you to design a totally unique website - the only limit is your imagination. Your business website will include a responsive mobile friendly design. The Premium Package includes up to 8 web pages of moderate complexity. Your website will be handcrafted and will meet the latest standards for accessibility, usability, and search engine friendliness. It will also be mobile friendly and include a content management system so that you can updatewebsite content yourself. We encourage our clients to keep their sites up to date by offering both self-service content management systems and full-service web maintenance plans. Please send us your business card, the description of your business, photography, and any other graphics that you would like to appear on your site. You may send text, photography, and graphics via the U.S. mail or other postal service, or you may e-mail your text to us. If you have your photos or your graphics in digital form, you can mail us the CD-ROM. Your text should be sent to us in TEXT or Microsoft Word formats. All text must be submitted by email, on a disk or CD or $20 per hour typing fee will be applied for handwritten or hardcopy materials. We request a non-refundable deposit upon receipt of your order before we can begin work. Payment can be submitted by check or money order and sent to: Crimson Designs Studio, 157 Village Rd., Newbury, NH 03255.